Interactive Map Location of Mysterious Hideaway in [[Torren. The Mysterious Hideaway is a small area that serves to connect Selene City and the Ancient Tower together. A special grotto known as the Flower Grotto can be found in between the trees to the right of the Ancient Tower. 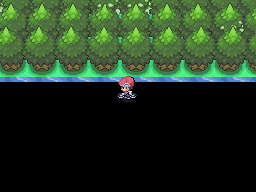 All of the attractions in this area are optional; leave back through the entrance to Selene City when finished. The Flower Grotto is a beautiful and secluded area located to the right of the Ancient Tower. No static Pokémon encounters can be found within, but the area is home to various forms of Vivillon and Florges. A Parasol Lady has taken a liking to the Flower Grotto and spends her free time inside, describing the area as the only place diversity in formes really blossoms. She will teach the player's Pokémon various Grass-type moves. The Ancient Tower is a mysterious building which contains many, many secrets within. To explore the primary contents of the tower, the player must obtain both a Bicycle and the power to use Tesseract. To investigate the remainder of the tower's secrets, the player must bring Entei, Suicune, and Raikou with them in their party as they approach the tower. 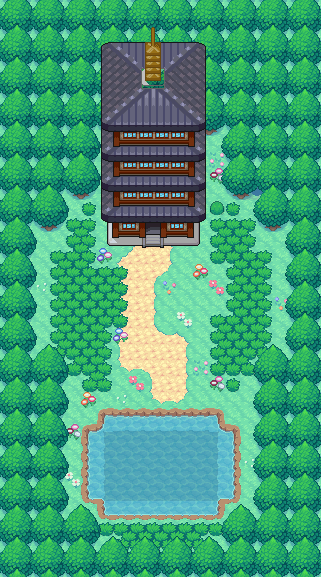 The Pokémon found in the Flower Grotto are unique in that this is the only location in the game where they may be captured while appearing with one of their various regional forms.